I would know more about how I feel after a week of vegan meals if I weren’t frozen solid in this interminable winter. I can’t feel my feet and additional layers of clothing won’t fit over the layers I am already wearing! Pennsylvania winters can be challenging, but this is getting ridiculous. While the squash is baking, cook the quinoa with the vegetable bouillon and the raisins. 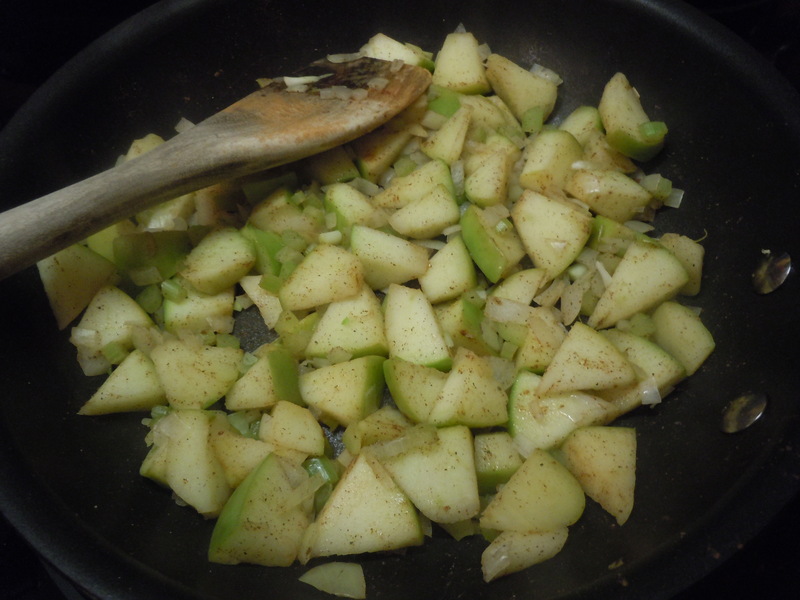 Meanwhile, saute the apple, onion and celery and season with the cinnamon and cardamom. 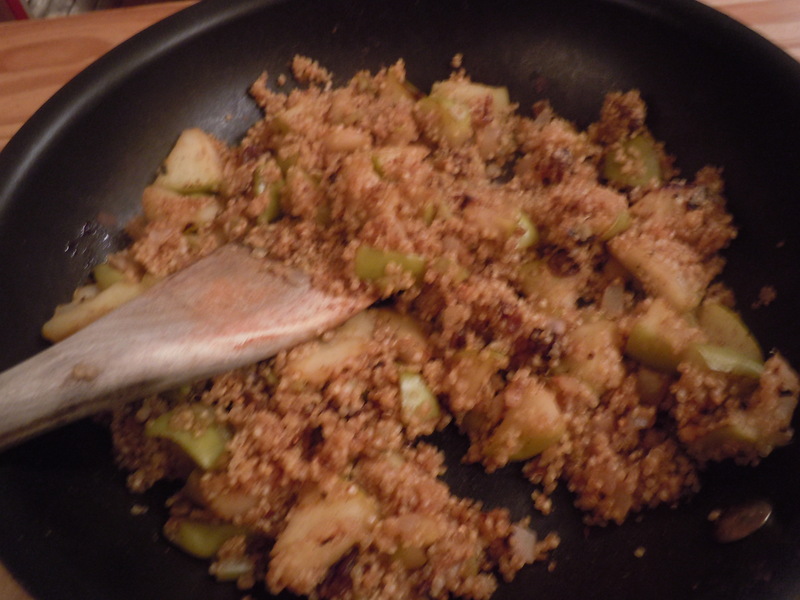 Combine the quinoa with the apple mixture. 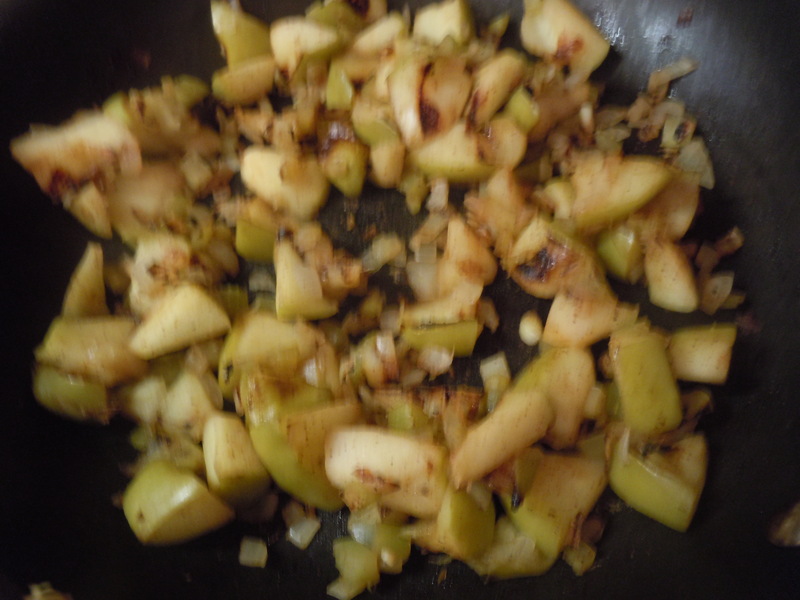 Add the vermouth. 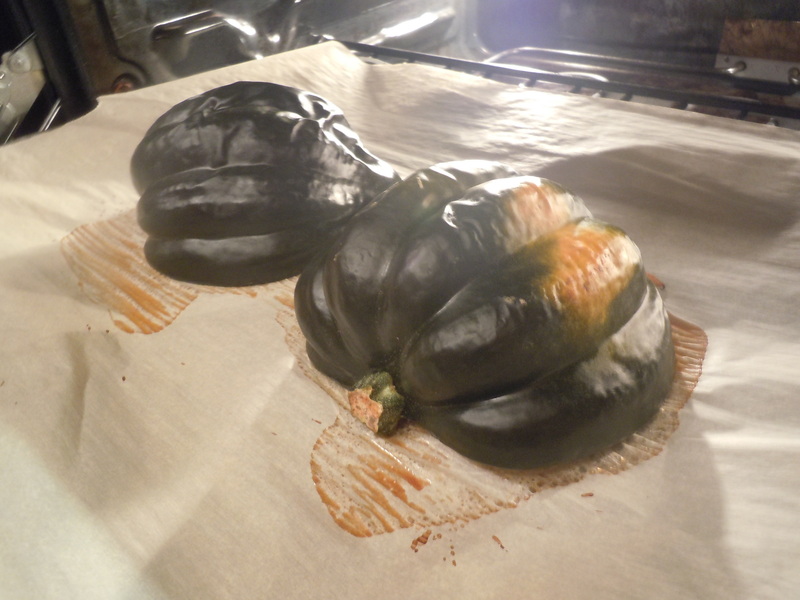 Spoon into the squash halves. Top with the walnuts. 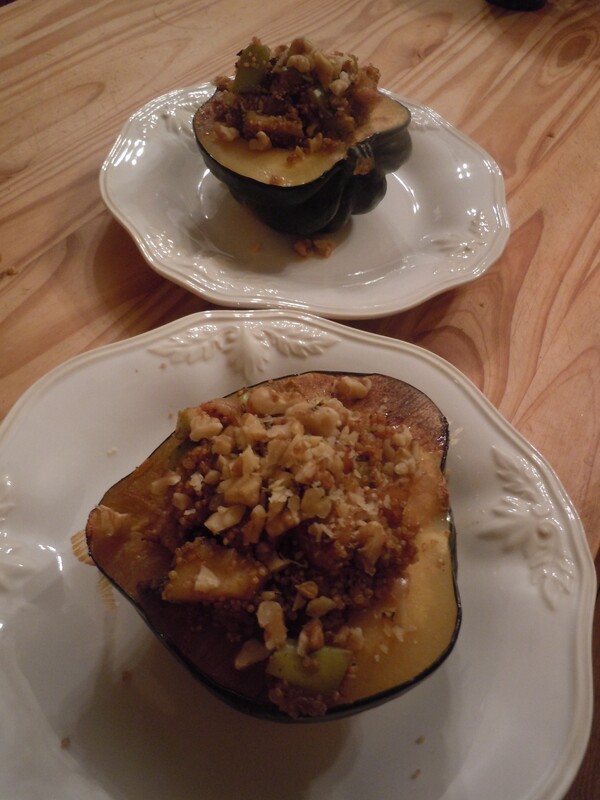 Love stuffed acorn squash and love quinoa. Think I may have to try this.